Visual communication is at the core of the Art curriculum, a transferable skill that enriches all our lives. The Art Department is committed in its pursuit of excellence in the field of art and design. At Nobel we provide a stimulating environment for a variety of exciting and creative experiences. Art is planned and delivered to support the development of this visual language and ensures continuity and progression throughout all stages of the curriculum. We aim to increase student confidence and give them a greater understanding of themselves. We recognise that each student is an individual and aim to nurture creativity in a fun and engaging way so that all our students can improve their skills and enjoy some measure of success in art and design. We embrace cultural diversity and our students are encouraged to consider the world around them and develop their work in an individual way based on their own experiences of it. We promote experimental attitudes and approaches through a wide range of practical skills. At Nobel we are fortunate to be able to offer our students three areas of specialism including general art and design, graphic communication and textiles, all up to A level. These are supported by facilities including three purpose built art rooms, a suit of Apple Mac computers and a specialist textile studio. Assessment of the work at all stages is based on the student’s creative journey. This journey is richly supported by extra-curricular activities including trips, visiting artists, competitions, community projects. Student achievement at GCSE and A Level is celebrated by the whole school community with a final exhibition which show cases their emerging talent. We are proud that our art students, on leaving, are in a strong position to pursue a career in the visual arts, many at prestigious art schools. 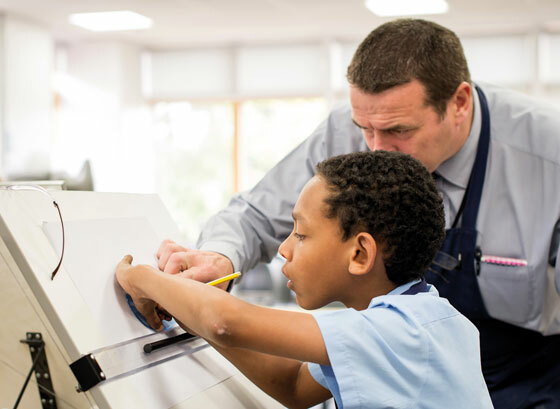 The Design Technology curriculum is underpinned by some core processes: pupils learn to develop, plan and communicate ideas; to work with tools, equipment, materials, ingredients and components to produce quality products; and to evaluate processes and product outcomes. Alongside this creative work, pupils develop their knowledge and understanding of materials, components, systems and control and structures as well as understanding the importance of healthy eating and food science. Our aim is for students to learn problem solving skills through designing and making quality products, which are relevant to them. Students will use a wide range of modern materials, equipment and processes and show creativity and innovation in order to achieve their best. In KS3 all students are given the opportunity to work with a variety of materials. This is achieved by students following a modular carrousel course, with each of the different material areas taught by a specialist teacher. From Years 7-9 students will work in wood, metal, plastics, electronics, graphics, CAD CAM and food technology. At KS4 students can choose to study either GCSE Design and Technology or Food Preparation and Nutrition as one of their option choices. Some students choose to use two options and study both subjects. Design and Technology students identify and solve problems using woods, plastics, metals and smart materials. Students look for needs and opportunities, and respond to them by developing a range of ideas, then demonstrate these by making quality products. Students learn how to plan and manage project work ensuring that tasks are completed to a high standard and all design thinking is communicated clearly through a range of media. As well as working in the areas indicated, students are also encouraged to use ICT to assist them in their project work. Students follow the Design Process which involves them identifying problems, generating ideas, planning, making and evaluating. They use this problem solving approach through the course, working both independently and cooperatively within groups. 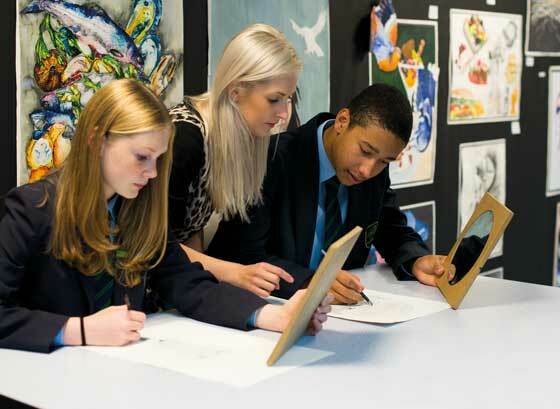 Through each D&T module, students are assessed in line with the National Curriculum Standards using the Nobel’s Learning Without Limits attainment target for Design and Technology. In sixth form, Product Design students are given the opportunity to develop their creative, technical and practical skills through a series of product investigation experiments and design and manufacturing activities, culminating in a high quality practical product that they design and make. Food Technology at KS3 is the foundation to GCSE. Students are taught nutrition, food science and essential practical skills which they then continue to develop and extend at KS4. Food Preparation and Nutrition GCSE provides students with an exciting and challenging opportunity to understand the important part food plays in everyday life. The specification focuses on practical cooking skills and the thorough understanding of nutrition, food provenance and food science.